How To Be The Salt Bae of Donuts - Make MEGA DONUT CAKES for National Donut Day! 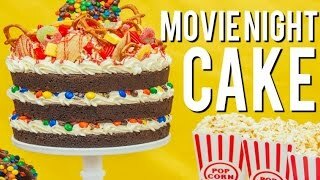 How To Make A MOVIE NIGHT CAKE! Root beer chocolate cake, vanilla buttercream, M&Ms and popcorn! 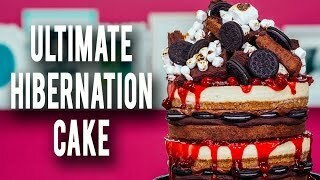 How To Make My ULTIMATE HIBERNATION CAKE! Piled High With Cheesecake, Cherries, Brownies & Ganache! 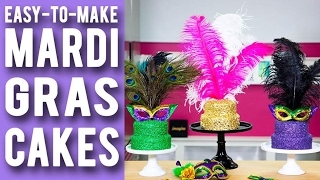 How To Make MARDI GRAS CAKES! Purple, Green & Gold Velvet Cakes With Festive Confetti & Feathers! Click The Notification Bell To Get Freshly Baked Vids: Hot Out Of The Oven! Hi, I'm Yolanda! Some people call me the Beyoncé of cakes. I post my drool-worthy, jaw-dropping caking creations every Tuesday at 11am EST! From novelty cakes that look like your favourite foods to my MEGA mash up cakes that have layers upon layers of goodness - I dream in cake! This week, I’ve caked not one, not two, but FOUR Mega Cakes inspired by my FAVE donut flavours - Chocolate Sprinkle, Strawberry Jelly-filled Powdered Sugar, Boston Crème and Salted Caramel! Say HELLO to rich chocolate cake layers, sandwiched between delicious Italian Meringue buttercream and melt-in-your-mouth donuts. I even decorated each cake by using even MORE donuts and fun flavours that reflect the donuts hidden inside! YUM! Snapchat - @yolanda_gampp - BEHIND THE SCENES footage from our shoots! aka Yolanda keeps making puns while making diabetes cakes. 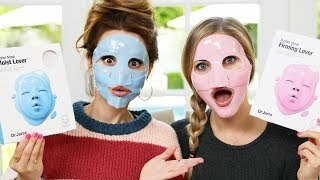 You should collab with Moriah Elizabeth! 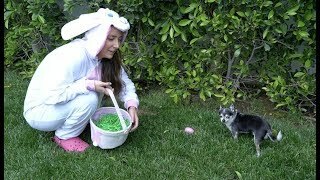 I got diabetes watching this. Donut you wish you could reach into your screen and reach out to eat these cakes? I donut think anyone can resist these cakes. Just watched this for the hundredth time, my grandson, who is 4 years old, says the cheerios are the doughnut' s babies... lol! I want to see Jocelyn so BAD!!!!! What if you had put the wrong donuts on the wrong cake? I have been entranced by all your “How to Cake It” tutorials and am in awe at how thin you are after eating the cakes you bake. All I can say is wow. I would be wearing all that tasting! Great work though I’ve learned a lot! Thank You for fun times. You and your crew crack me up! Oh my god remember awhen she narated in her sprinkle chairs! Back to the futer !!! 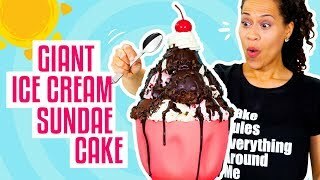 hello my name is alexis i am so enspired of your videos i made a cake to dad and i did the burger cake it was amazing and hard to make but at the end i was suprised i love making cakes! I saw you on Nailed It!! Make a summer cake or a dog cake!!! 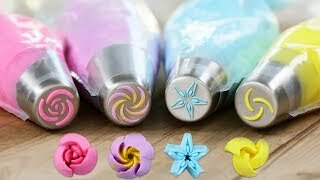 I so love this video, I've watched it about two hundred times, gonna try to make it soon! Please make a Girl Scout cookie mega cake!! Can you bake a coconut or a chocolate orange mega cake, my favourite doughnut is definitely is the salted caramel one it looks delicious!!! These cakes are soooooooo cute I really wanna make them I'm gonna ask my dad!!! I donut liked the puns! I loved them! Why does Jocelyn lol to much.Is she award for the best crazy lower is the world?lol!!!!! I KNOW WHAT JOCELYNN LOOKS LIKE! LOOK AT HER INSTA! Are they donut holes, or munchkins??? How come joc never wants to show her face??? Oh my god Yolanda! I DONUT like watching you eating a delicious donut cake! Hey you should make a giant Banana out of Banana bread. This question might have been answered in an earlier video. After filming, what happens to the rest of the cakes? PINK SLIME CAKE FROM SLIME RANCHER!!!!!! the definition of "BAE" is "Poop." why would anyone call their cake that? Make a hunger games cake!